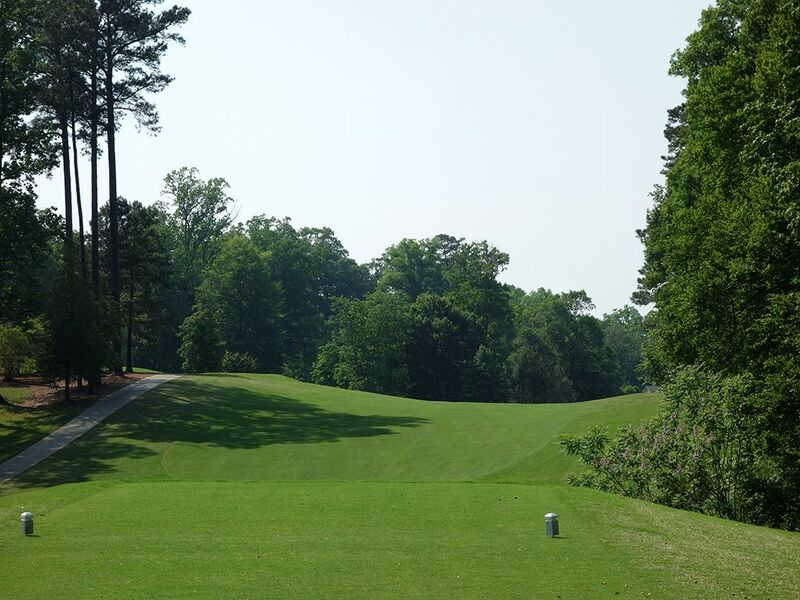 Course Website: Official Website - Visit Golden Horseshoe Golf Club (Gold)'s official website by clicking on the link provided. 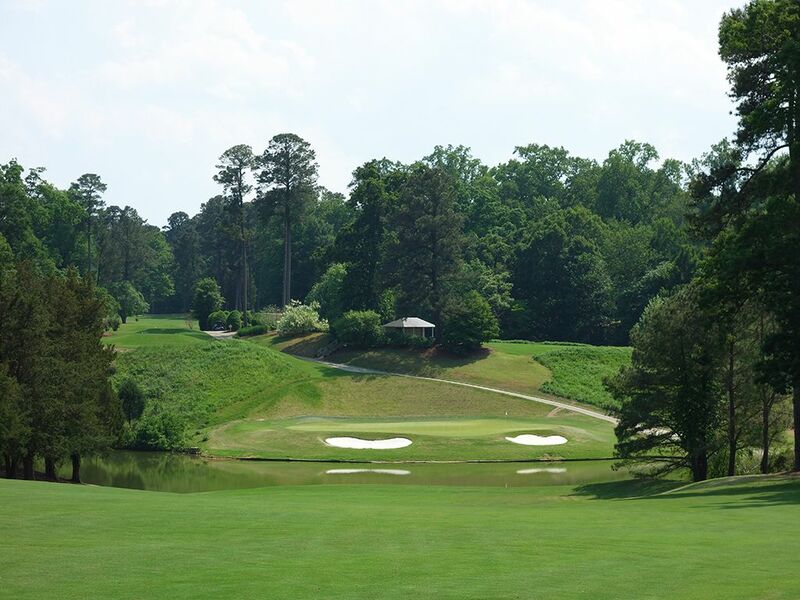 Accolades: Ranked 6th in Virginia on Golf Course Gurus' Best in State list. What to Expect: A Robert Trent Jones Sr. design from 1963, the Gold course at Golden Horseshoe is the crown jewel of the resort. The course isn't overly demanding from a length perspective but does require patience and a methodical approach to score well on. Accuracy is the key to the first 13 holes where placement is rewarding much more than length. For the closing fives holes you can turn the driver loose and swing away in an effort to gain every yard off the tee that you can in hopes of getting in a good scoring position down the stretch. Water features are the key to many holes and keeping your ball dry throughout the round in an impressive feet. 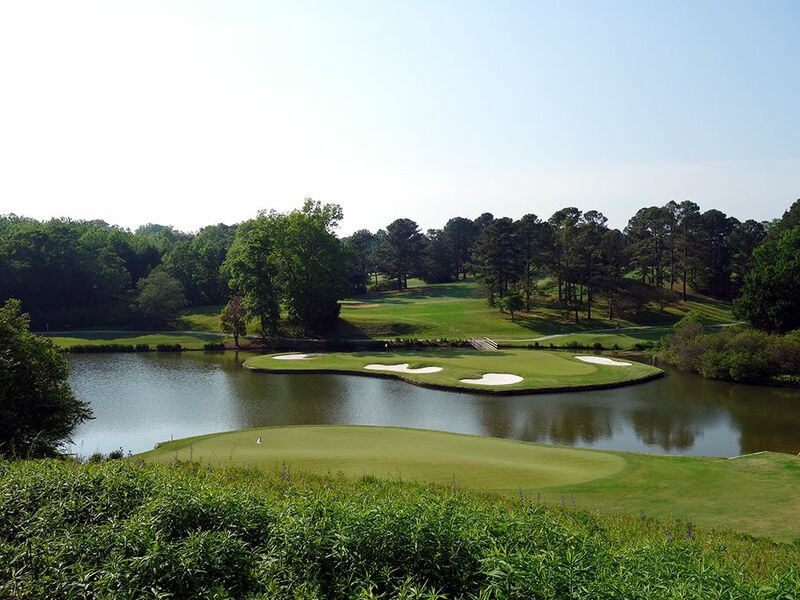 No water hole is more famous than the 16th as one of the original island greens surfacing in the game. The terrain of the course enjoys some nice movement and the tree lined fairways keep you honest if you try to overpower the layout. 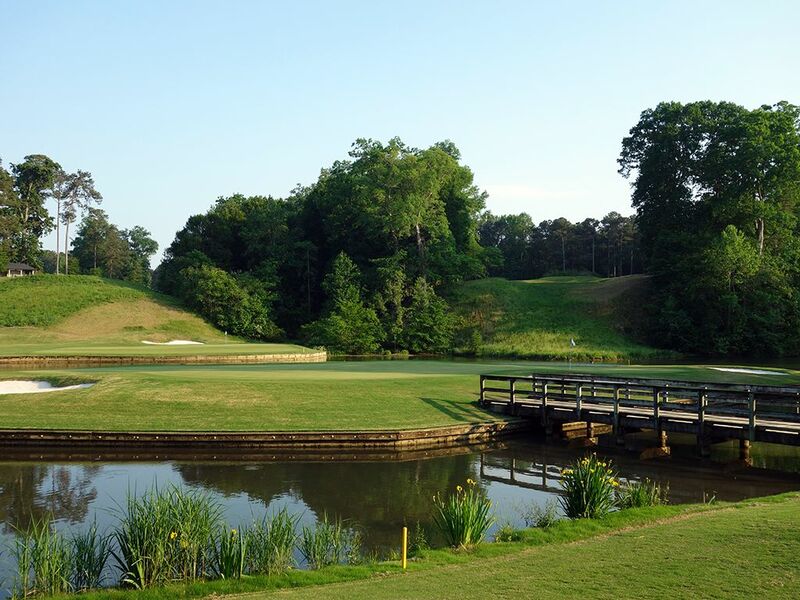 The opening hole is an innocent enough start as is the tee shot on #2, but then the approach shot on the short par five second hole grabs your attention and 'A' game quickly with a bold shot over a pond to a green set at the base of a large hill. The 2017 renovation brought the course back into great turf conditions across the board which always helps deliver a pleasurable round of golf. The kindness and attention of the staff can't be overstated and the location in the heart of America's roots add an extra feeling of the course being special. Carts are available or if you prefer to walk then the course isn't too bad for that as well assuming you can handle a few of the steeper elevation changes. 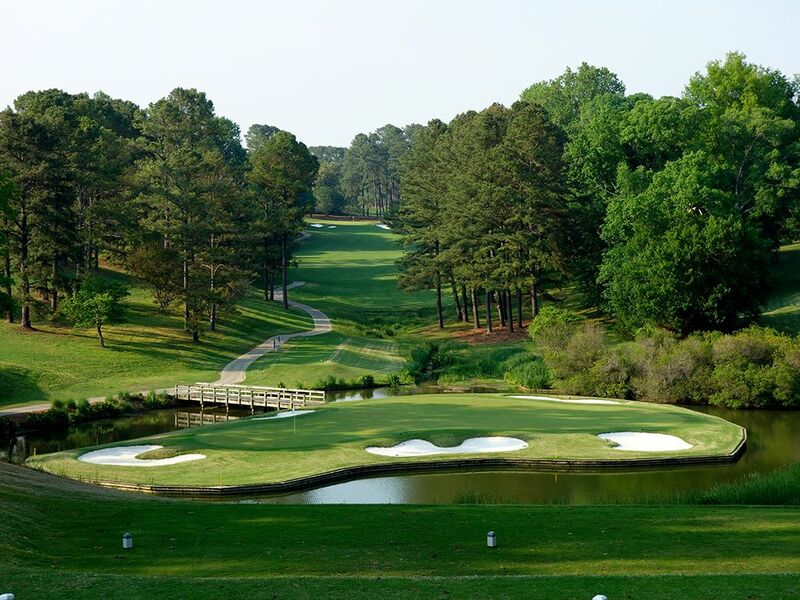 Signature Hole: 16th Hole – 169 Yard Par 3 – The famous 16th hole is the clear signature at Golden Horseshoe's Gold course and stands as the most picturesque of a fantastic group of par 3s. Five bunkers huddle around the island green putting surface to add challenge and aesthetics to this downhill one-shotter that is known up and down the east coast. The green is relatively large so picking up a green in regulation here shouldn't be too hard if you don't let yourself get intimidated by the amount of water in view. The 16th was featured in Golf magazine's illustrious Top 500 Golf Holes in the World publication back in 1999 and with good reason. Best Par 3: 12th Hole – 188 Yards – If the 16th hole didn't exist, the 12th would quickly get the nod as the signature hole on the property. Sharing the same pond as the island green 16th, the 12th is more of a peninsula green with the front, right, and rear of the putting surface jetting out into the water and leaving just the left side as a bail out area. If you can hit a low cutter up the left side then you will be able to use the terrain to move your ball onto the green and never have to cross the water to get close to the flag. You'd be hard pressed to find two better one-shotters on the same side of a public golf course than what the Gold course offers. 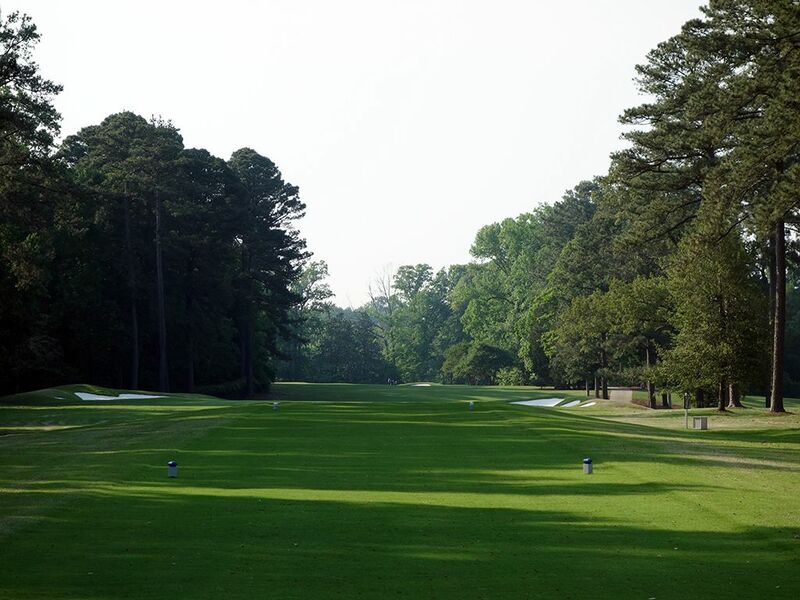 Best Par 4: 18th Hole – 444 Yards – The closing hole at Golden Horseshoe is a quality offering as a dogleg left. At 444 yards there is just enough ground to cover to make it a legit test as the finishing hole in a tournament or match with your buddies. The corner of the dogleg is protected by dense trees while bailing out too far right could result in finding the bunker on the outside of the dogleg. 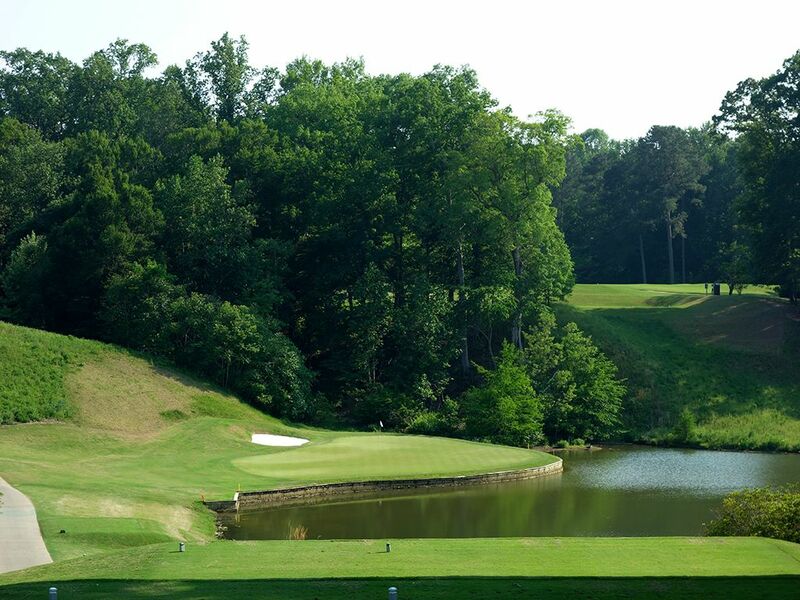 The approach shot plays downhill to a narrow green that is flanked by water on the left and a bunker on the right. You can utilize the ground game and natural terrain to tumble a ball in through the front right portion of the entrance to the green; so if you are between clubs take the shorter one for sure and eliminate the water long. If the pin is tucked in the front left corner behind a secondary bunker and near the water, stay away from it and go for the middle of the green unless you have card a birdie. 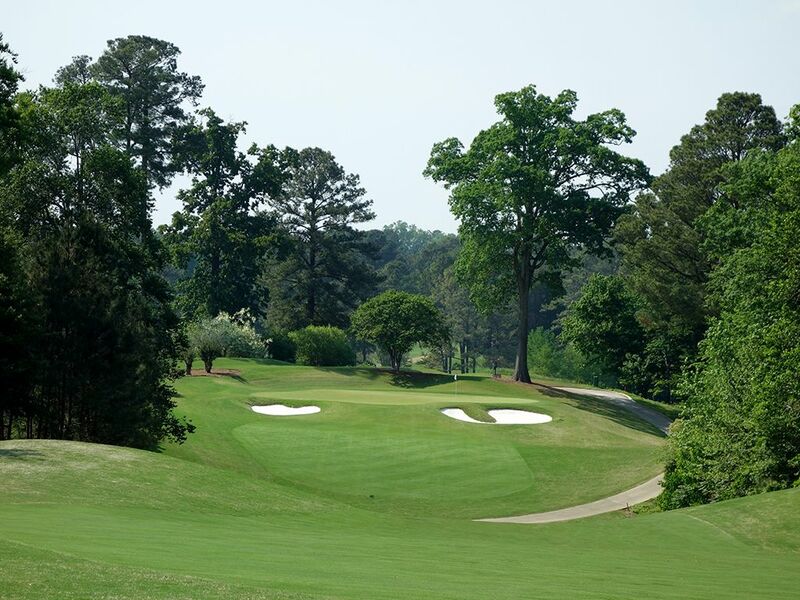 Best Par 5: 2nd Hole – 498 Yards – This is the hole that makes you feel like you are about to embark on something special at Golden Horseshoe. After a pedestrian tee shot, players crest the hill and are hit with an impressive visual of an approach shot to a green fronted by a pond and flanked by a hill in the back. It is a great risk/reward scenario on a short par five that should entice players to go for the green in two, but if you choose to layup there are no guarantees of things working out. The fairway falls relatively steeply downhill towards the water and can set up an awkward uphill wedge shot from a downhill lie that can get bladed quickly with any lapse of concentration. I absolutely loved this hole where birdie and bogey can equally present themselves. 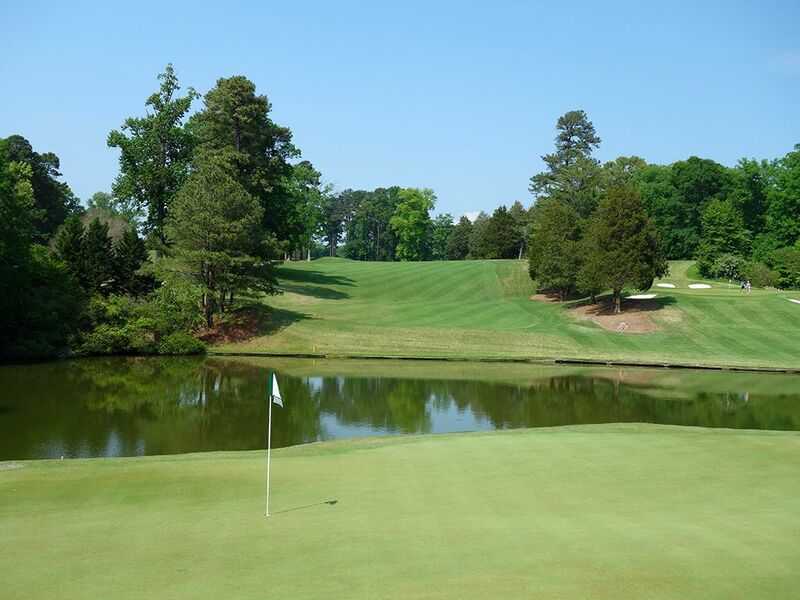 Birdie Time: 6th Hole – 485 Yard Par 5 – There are a number of par fours longer than this par five that you can encounter in your travels, so it is time to take advantage of a golden opportunity to card a birdie. A well struck drive will put your ball over the crest in the fairway and start tumbling downhill ever closer to your eventual target. With the opportunity to put a mid iron into your hard, reaching this green in under regulation becomes a strong possibility and a birdie eminent. Second shots that fail to find the green are still afforded a chipping area behind the green to get up and down from with the only critical miss being short of the green where balls tumble back downhill. Be confident and aggressive on this hole and you should be rewarded. 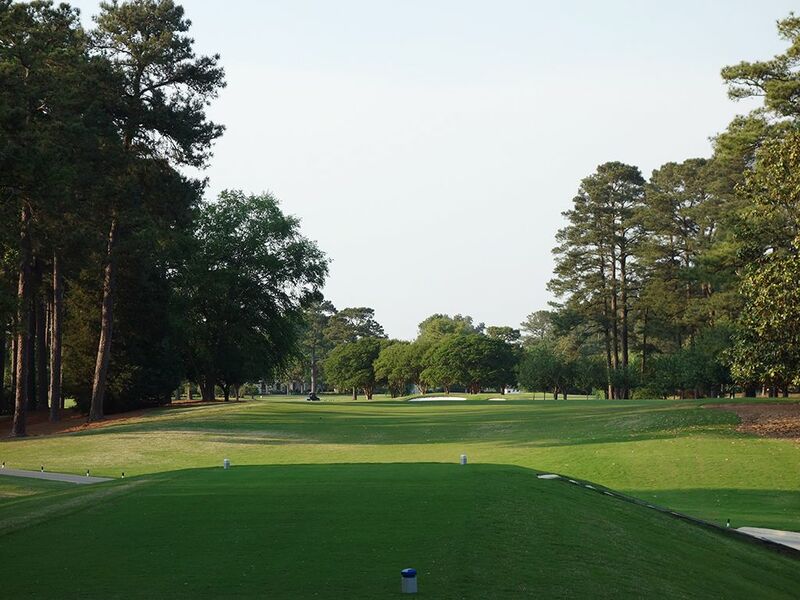 Bogey Beware: 15th Hole – 634 Yard Par 5 – 136 yards longer than any other hole at Golden Horseshoe's Gold course, the 15th is just a long beast. The hole plays flat and straight away so there are no opportunities to cut off yardage and cheat your way to the green easier than the card indicated. A pair of bunkers hamper the landing area off the tee and then it is a bunch more tree lined yardage to cover enroute to the putting surface. 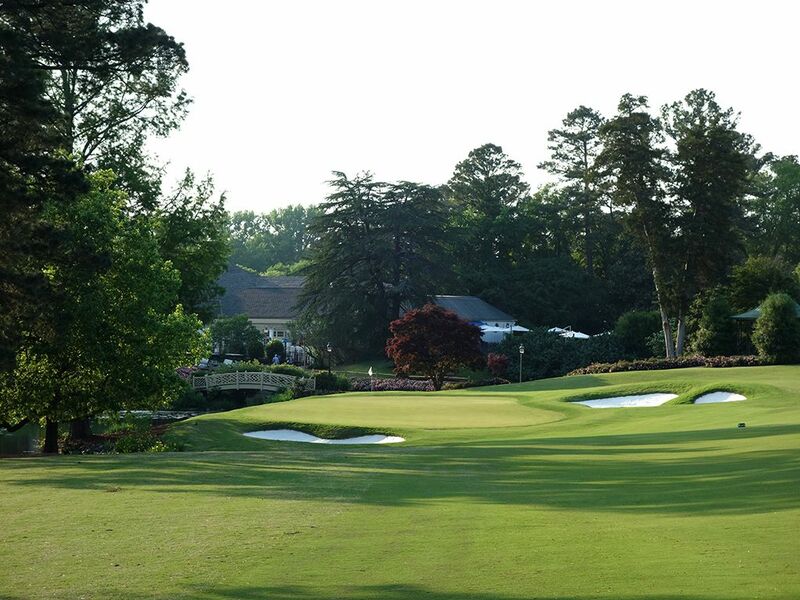 The raised green slopes from back left to front right and features a single bunker at the front left to contend with. A methodical approach is recommended here because there is no reward for trying to be a hero. 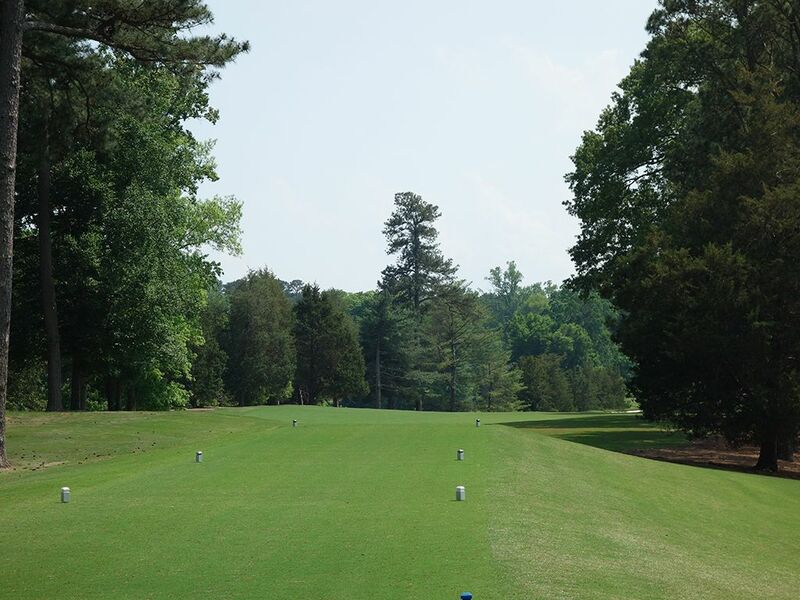 Accurate shots from tee to green are the only way to avoid bogey, so hit the clubs that is going to make that happen.